Love heals – sometimes literally! 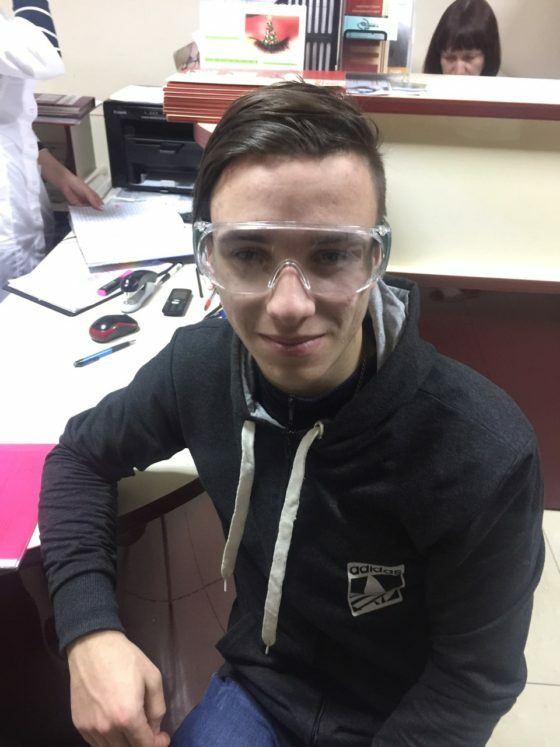 Recently, two young men, Vitya and Yuliy, underwent eye surgery, thanks to the advocacy of our staff and donations from Last Bell friends. 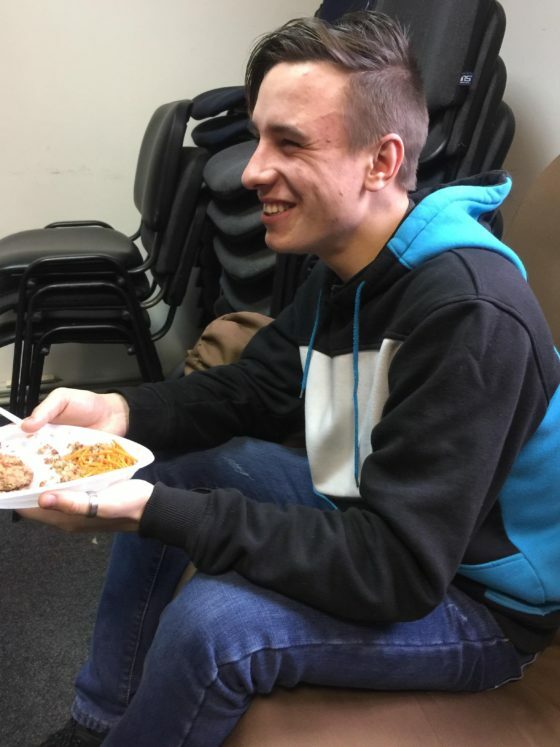 We met Vitya three years ago when we offered life skills lessons at his social dorm. He grew close to one of our volunteers and attended camp in 2017. Lena Voznyuk shared that at camp one night, Vitya talked with everyone about his life. “I never felt like anyone needed me,” he said. “In the orphanage no one cared. I never celebrated my birthday, never had a birthday cake with candles. My mother beat me if she had a reason, and if she didn’t have a reason. On my birthday she drank even more. My whole life I’ve never felt even a little wave of happiness.” In that moment, the staff and even the other orphans cried for him. Starting that night, everyone called him “Little Wave of Happiness.” We looked forward to celebrating his birthday with a big cake and candles. 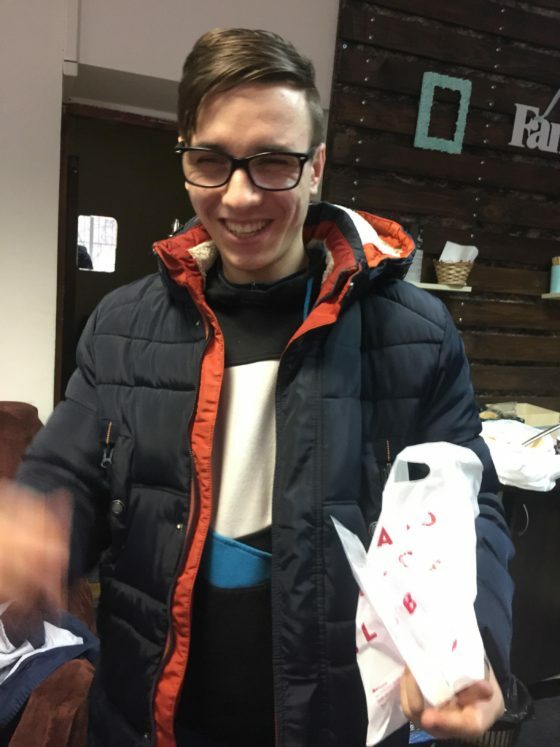 We met Yuliy two years ago, when he came to our life skills lessons at his trade school. He’s a great student; he’s very intellectual, studies well, and has good communication skills. He has a memory for historical dates and facts. Because orphans in Ukraine have so few options, he was entrolled at a trade school for construction workers. But his dream is a university education, and he’s been preparing to take entrance exams. He’s grown close to staff member Lena Voznyuk, and spends almost every day at the Day Center. Today, Vitya has many friends at Last Bell who care about him (and his birthday!). He did have a job, but then his vision began to bother him. We accompanied him to an eye exam, where the doctors diagnosed him with severe astigmatism. He should have been wearing glasses all along, but now it was too late – his eyesight was so bad that no glasses or contact lenses would help. His vision was at about 20%. He’d just gotten used to it because it had always been that way. Vitya needed expensive laser correction surgery (almost $1000), which he didn’t have. To him it seemed that his life had come to a halt. His vision would keep getting worse, and he could go blind. He saw a future at the orphanage for people with bad eyes. Yuliy always had problems with his vision because of a congenital anomaly. He wore glasses with thick lenses, and studying was difficult. 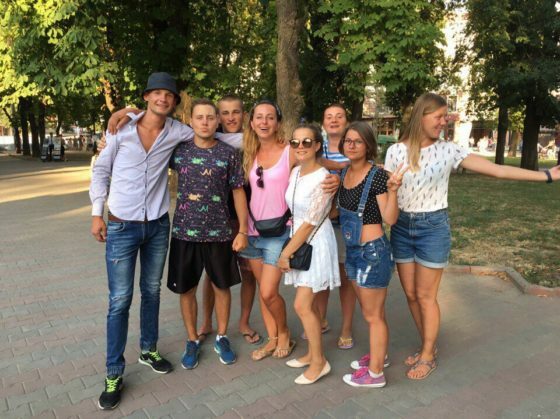 We went with him to a doctor in Kyiv, who was surprised to see a condition that severe outside of his university studies. The doctor suggested the anomaly might have been caused by Yuliy’s mother drinking before he was born. With better eyesight, we knew Yuliy would have better opportunities. His head wouldn’t ache constantly and his eyes wouldn’t hurt. He wouldn’t need to sit at the front of the classroom and ask the teacher what was on the blackboard. He could pursue his dream of a university education. One of Last Bell’s priorities is advocacy and help in just these kinds of situations. Last Bell friends stepped forward and covered the cost of both procedures. Praise God! In December, Vitya underwent a difficult laser correction surgery. He returned to the doctor four times and finally had a second surgery. In February, Yuliy had surgery to replace his ocular lens. Both boys have much better vision now. Yuliy doesn’t even wear glasses anymore! Neither will ever have perfect vision, but in their situation, this improvement is enough. For less than $2,000, these minor medical procedures have changed the path of their whole lives! 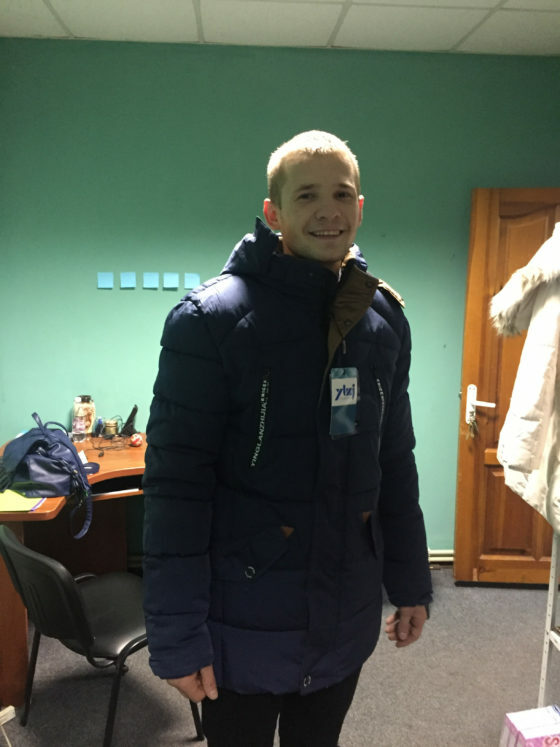 Now Vitya is interviewing for jobs, and Yuliy’s dream to attend university could come true. Thank you! Because of Last Bell’s vibrant community, orphanage graduates are surviving and thriving. We did celebrate Vitya’s 21st birthday this year… with 21 cakes! These two stories were shared by staff member Lena Voznyuk.